It’s so enjoyable once it’s starting to look real! What a talent. 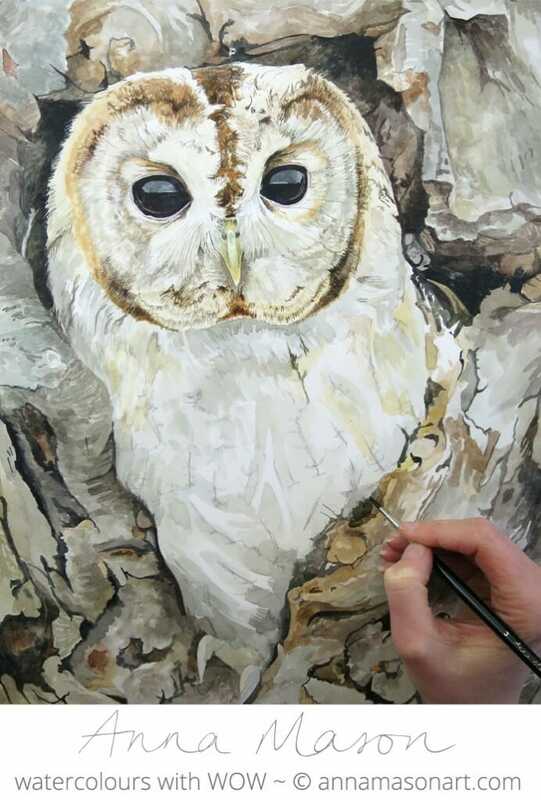 I love the watercolours, thanks for sharing the progress of the owl. Loved this. I had a rare experience of a large owl (don’t remember the exact name, but it had a white belly) perching on a window sill, facing the inside of my breakfast room.. I walked toward it and was able to sit quietly and observe it up close while it slept with the sun on its back. When it woke up I got a good close up view of its eyes and was fascinated by the lenses in its eyes! It was a once in a lifetime experience. There were three of the owls and they stayed in our yard for several months.